Saft’s EcMC² state-of-the-art chargers are rugged, multi-channel, multi-position and multi-chemistry. 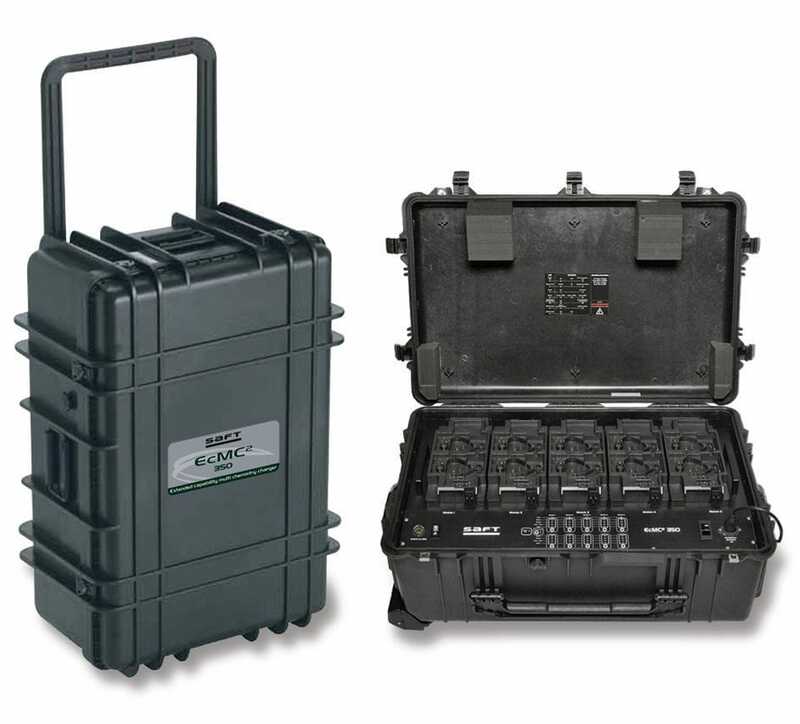 They are designed for easy transport and operation, can automatically recognize the type of military battery they are charging, and can simultaneously recharge a number of different batteries regardless of their state of charge or chemistry. 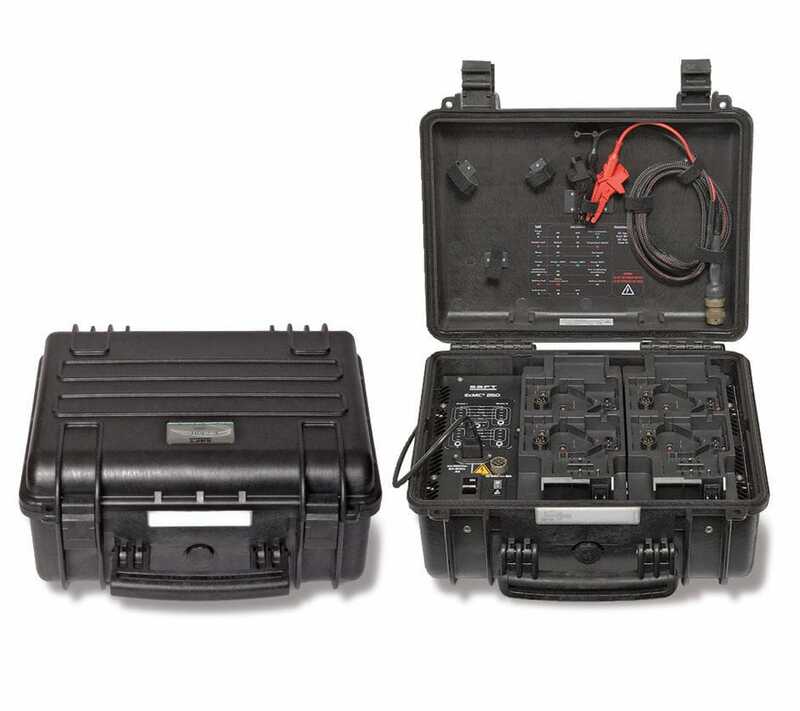 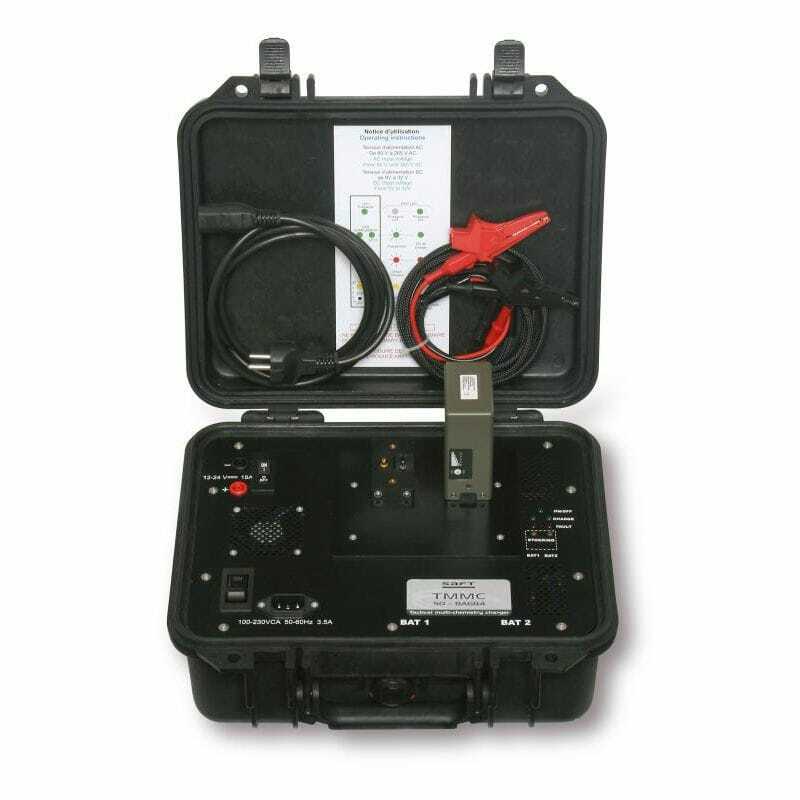 The EcMC² chargers are available in a 250-watt battlefield (for battlefield and tactical use) and 350-watt workshop (for base of operations) versions.